Beyond sheer greed and malevolence, the most common catalyst for Ponzi schemes is to cover up other serious losses. This was the situation for Francisco Illarramendi, a former hedge fund manager in Connecticut, who ultimately spent five years raising over $30 million in illicit funds to cover an initial $5 million shortfall. But such is the nature of Ponzi schemes that every additional dollar brought in simply increased the debt, rather than solving the problem, due to the unethical nature of the financial solicitation and promises made. The SEC recently passed judgment on Illarramendi, who was sentenced to disgorgement (repayment of profits) of $26 million and a lifetime ban from the securities industry. This case originally dates back to 2011; however, victims have had to wait to receive their full restitution until a complete evaluation of the case’s complexities was made. The original fraud began over 11 years ago in 2006, when Illarramendi lost some $5 million on a bond transaction and then endeavored to cover up the loss. In addition to diverting much of the new profit to his own benefit, Illarramendi also made up some assets out of whole cloth. Furthermore, Illarramendi commingled the accounts for various clients and investments in order to disguise the additional losses. In 2011, Illarramendi was first charged; then, six months later, another $230 million was found in an offshore account. This greatly complicated the process of disgorgement. In 2015, Illarramendi was sentenced to 13 years in jail, and in April of 2017, the SEC finally ruled on the repayment of investors. Is the seller licensed? The licensing process not only ensures that the seller has the requisite knowledge to make sound suggestions, but also that his or her knowledge is up to date. Is the investment registered? While it might be exciting to be the first to know about a “special opportunity,” these situations are usually fraudulent. How does the risk compare with the reward? Every investor will have his or her own tolerance for risk, both fiscally and mentally. An experienced financial advisor will take those individual needs into account before suggesting a specific investment. And if it sounds too good to be true, it probably is. Do I understand the investment? Some investors are hands on and like to know every detail about how their money is being used, while others prefer to delegate that role to their broker. However, no matter the scenario, the investor should be able to clearly articulate the investment. Do I know what to do if I need help? If an investor suspects they have been led astray, or that their broker is not acting in their best interests, not knowing where to turn can be extremely uncomfortable at best, and costly at worst. The SEC can be reached online or through the mail. Ponzi schemes are still being perpetrated on unwary investors every day. 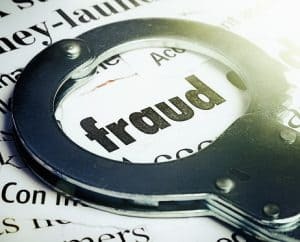 The Frankowski Firm has years of experience representing investors who have lost money as the result of investment fraud. If you or someone you know has lost money as a result of such a scheme, please contact The Frankowski Firm at 888-741-7503 to pursue just compensation, or complete our contact form.